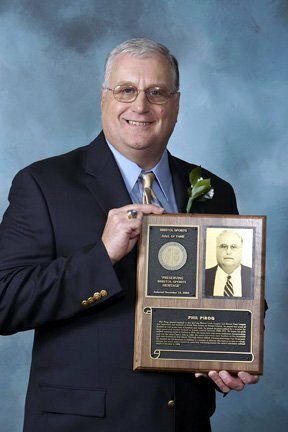 Phil Pirog played baseball in the McCabe-Waters Little League and Bristol Pony League and basketball and baseball at South Side School. At Bristol Central, he played four years of football as well as one year of baseball and track. He played slo-pitch softball for a number for local teams and coached football at Bristol Central between 1969-1975. He began his girls softball coaching career at Central in 1976. His teams have won seven conference championships and won the state Class L title in 1985. His teams have been state finalists on five occasions and semi-finalists on four others. His high school softball winning percentage was 70 percent. He coached one All-American in addition to a number of athletes who went on to play in college. Among the many honors bestowed upon him was being named the state’s scholastic softball coach of the year in 1986. In 2016 he was inducted into the Connecticut Coaches Hall of Fame (softball).